Montreal boxer Joachim Alcine won a junior middleweight championship title on Saturday night, completing outworking Travis Simms in his hometown. Montreal boxer Joachim Alcine won a junior middleweight championship title on Saturday night,completely outworking Travis Simms in his hometown. Alcine won a unanimous12-rounddecision in the 154-pound boutheld at Harbour Yard Arena in Bridgeport, Ct.Scores were 114-111, 115-110, 116-109. The two fighters engaged in much verbal sparring in the week leading up to the fight, and the ugliness spilled over in the first half of the fight. The conventional boxer Alcine and southpaw Simms clashed heads on a few occasions, and each was deducted a point. Alcine was strongest in the middle rounds, beating his opponent to the punch. 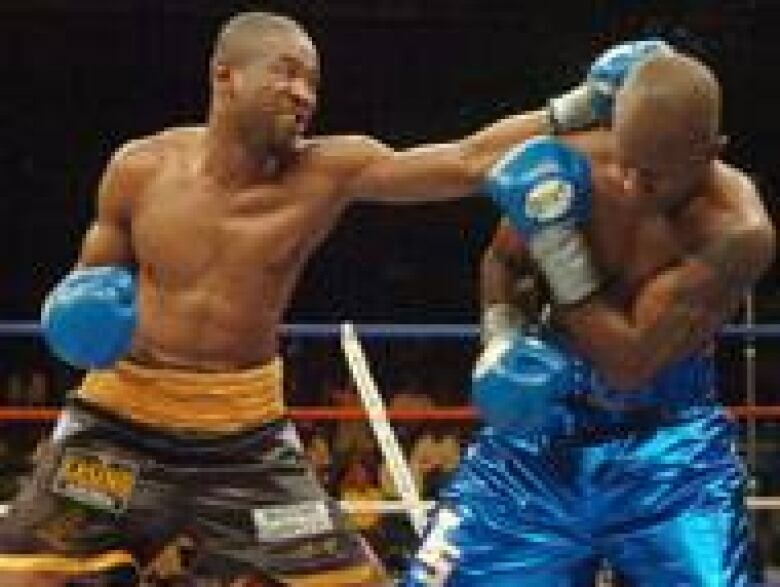 Simms also lost a point when he suffered a debatable knockdown in the ninth round. Simms had some of his best moments in the last two rounds of the fight, making the decision announcement suspenseful. Alcine (29-0, 18 knockouts) was born in Haiti but learned to fight in Canada. The 31-year-old expressed confidence at a pre-fight press conference this week that he was ready to take the belt, despite aresumé that included only fringe contenders Jose Rosa Gomez, Elio Ortiz and Carlos Bojourquez. Alcine wins the World Boxing Association title and joins Steve Molitor as current Canadian titleholders. Molitor will defend his 122-pound super bantamweight belt next Saturday in Rama, Ontario. Simms (25-1, 19 KOs) was coming off his most impressive performance, a win over Jose Rivera. On the undercard, Nonito Donaire of thePhilippinesscored a shocking upset knockout win over Australian champion Vic Darchinyan. Donaire dropped the 112-pound International Boxing Federation champion early in the fifth, and the previously unbeaten Darchinyan was deemed unfit to continue. Darchinyan had recorded a win last year over Donaire's brother, Glenn. Heavyweight champion Wladimir Klitschko fought at ameasured pace Saturday in his rematch with American Lamon Brewster, and it made all the difference in the world. Klitschko (49-3, 44 KOs) used a piledriving jab to keep Brewster at bay for six rounds in their bout for the International Boxing Federation title fight in Cologne, Germany, and the challenger's corner elected not to send him outfor more punishment beforethe seventh. The official result goes in the books as a sixth-round technical knockout. Klitschko was having his way with Brewster for four rounds in an April 2004 fight, but went from impressive to exhausted in a matter of seconds. 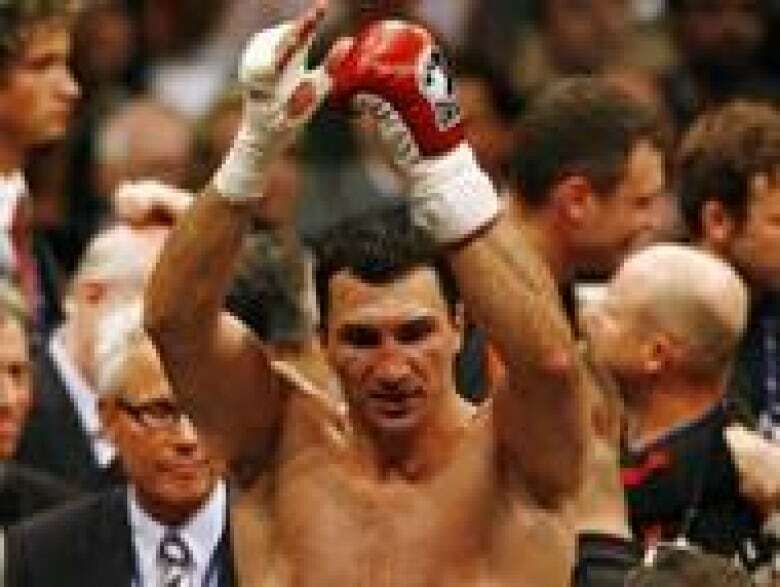 Brewster battered thetiring Klitschko for a stunning upset in the fifth round. The Ukrainian-born fighter and hiscamp unleashed a series of wild accusations to explain the fatigue— includinga charge that Klitschko'swater bottle had been spiked — which greatly annoyed Brewster. The result in the rematch was so emphatic that it probably quashed any need for a rubber match to settle the score. Brewster (33-4, 29 KOs) was extremely tentative, despite trainer Buddy McGirt's exhortations. The 34-year-old needed surgery to repair a detached retina after his previous fight, a loss in an exciting 12-round fight to Sergei Lyakhovich in April 2006. Klitschko, 31, has reeled offseven consecutive wins since the loss to Brewster, including over the previously unbeaten Samuel Peter and Calvin Brock. He is generally considered the best in the divison but would like to eliminate the other belt holders from consideration— Oleg Maskaev, Ruslan Chagaev, and Sultan Ibragimov.